Perfect your favourite buttery treats or cook up a storm with the A-Z cookbook. Un-salted it may be, this butter packs a punch in the oven or pan. 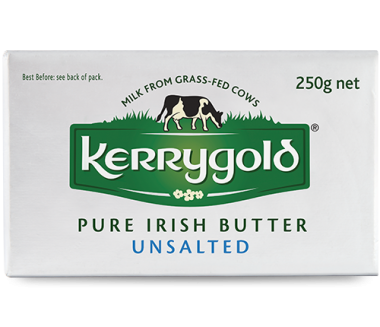 Whether you’re a baker or cook, our smooth creamy unsalted butter is always up for a challenge. Great with puff pastry and crunchy cookies.